We’ve worn gloves in the office at Mighty Pooch HQ this month on occasions as it’s been so flipping cold. Our favourite hot water bottle Brucie has been employed to keep our knees warm every morning – as office dog, he has a vital role to play in keeping us inspired and motivated! Despite having to rearrange a few photoshoots thanks to the truckloads of snow, this month on the new dog blog has been fun and we’ve come across some great finds. 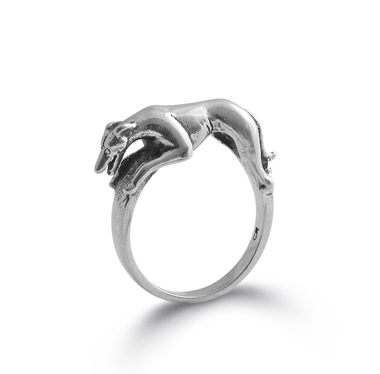 In cool canine kit we lusted after dog-inspired jewellery for the fashion-forward woman – I’m still keen to get my finger through one of those stunning Chris Robin greyhound rings. We also chatted to Brit designer Joanna Mac, an upholsterer whose English bulldogs are her inspiration. Their expressive faces ensure her cute designs are bang on trend. In pic of the shoot we shared some of our own dog photography techniques for taking great images, beginning with our very own little chap Bruce who, surprise surprise, we photographed against a gorgeous snowy backdrop as he flew through the air. Move over David Gandy, there’s a new male supermodel in town. 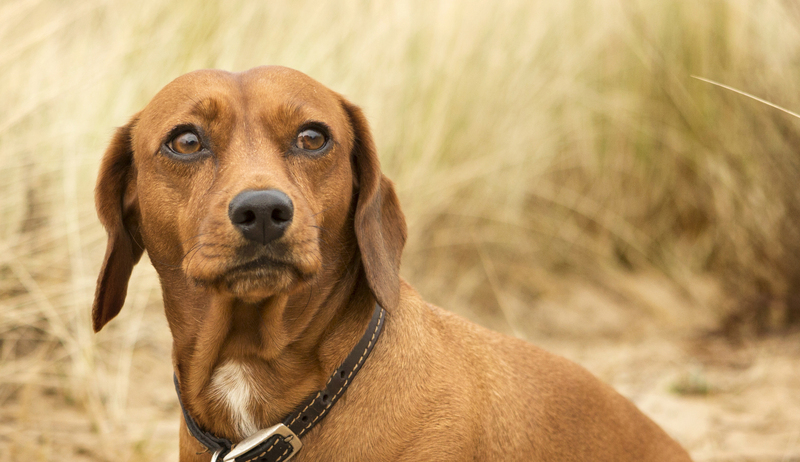 Next up came Buddy, a red dachshund/King Charles spaniel mix whose latest photoshoot at the beach showed off his lovely coat to perfection. Elsewhere this month I confessed to my daft notion that the beautiful town of Patterdale in the Lake District – the birthplace of Bruce’s ancestors – would be a sort of Disneyland for patterdale terriers, complete with gift shops and museums dedicated to my beloved breed. In the words of Del Boy, what a plonker! And finally, we celebrated National Puppy Day, as dog lovers across the globe campaigned for an end to puppy farms and pet shops selling pups. Let’s hope, one day soon, we’ll see an end to this cruelty. And so April is almost here – we hope it brings milder weather. Hey, maybe even some rays of sunshine! To The Mighty Pooch blog, April will bring more musings from the crazy dog lady, plus plenty of new cool canine kit to drool over and some gorgeous products to brighten your dog’s day. We’ll take a whistlestop tour through some quirky surprises for stylish interiors in part 2 of our bulldog couture feature and we’ll also meet Dexter the boxer and Lucy the spaniel in pic of the shoot. Plus, our new website should make an appearance. So stay tuned. And get in touch!